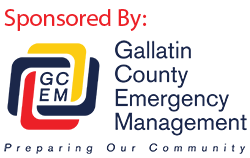 The Gallatin County Sheriff’s Office has received multiple calls from citizens who state they were contacted by the IRS and told to call 701-428-8115 or a warrant was going to be placed on them. This is a scam and you should not do anything they are asking you to do. The Sheriff’s Office has also been made aware of another scam. In this scam, people who are looking for rental homes are contacted and asked to provide personal information. The rentals are actually homes for sale in the local area, but they are not for rent. This is also a scam. Please do not provide your personal information to any individual or organization unless you have fully researched their legitimacy.